Okay, it was suppose to be a sunny and 60's kind of day yesterday.......oops. Instead, it was the damp, bone chilling, cold and raw type day. No matter. I was on a brick and mortar field trip to Lancaster County with a few girlfriends with plenty of sunshine in our chatter! As we all do, I love the blogoshere surfing time in the wee hours, where I can be several places in the world at once... but there is so much fun to be had in the thrill of the hunt moment with friends. We began with a meet up lunch at a pub and good eats place on Rte 23 called Vignoles. Mmm. We filled our bellies with salad and wraps then headed out to brave the elements. There are lots of vintage shops in Lancaster County and you could spends weeks just visiting those. Our highlights were a couple of great fabric, button and trim places at which we spent much time. 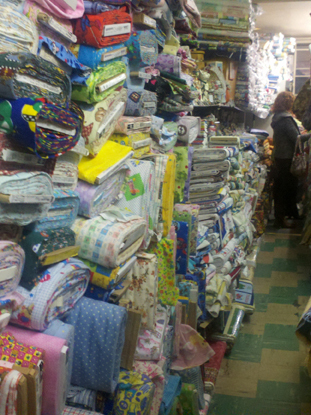 The first place I want to mention is the PA FABRIC OUTLET INC on New Holland Pike. Oh my gosh, the buttons!! Equally, oh my gosh, the trim! I found button inspiration there for sure. I guess that is my mark for a successful button excursion....the InSpirAtioN. The other place, which was new to me, was Obies Country Store, down further on the New Holland Pike, in Goodville PA. 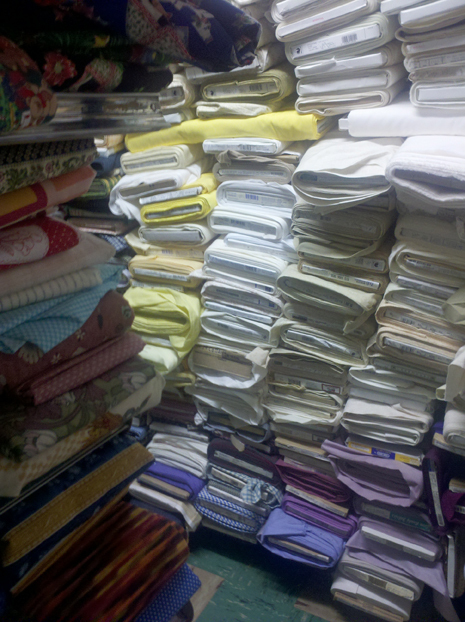 There are piles in the aisles of fabric so my seamstress buddy was in fabric heaven. 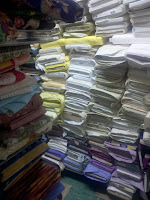 Hard to find and name brand bolts of cloth were floor to ceiling. It is worth the visit just to see the old building too, built in the 1830's. Check out the selection of penny candies there as well! 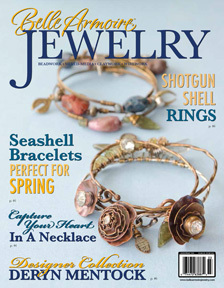 I know it is not yet spring, but the Spring 2012 issue of Belle Armoire Jewelry is in print. After all, the forsythias are blooming (here anyway) and the bulb flowers on their way to bud. 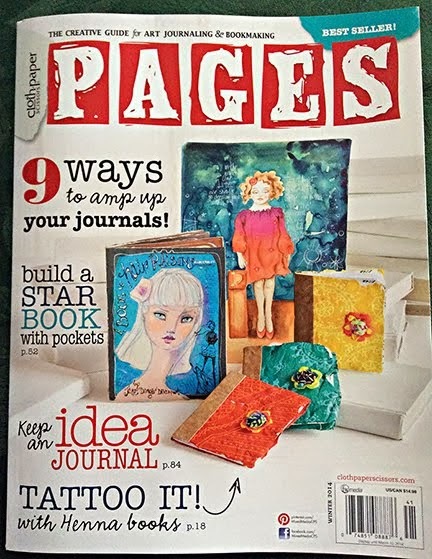 I am so excited to see my title on cover and just wanted to share. 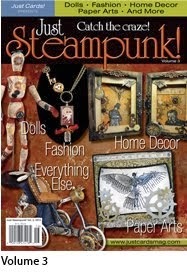 This issue is FULL of crazy wonderful things that we all would love to make or wear!! Ahhhhh. 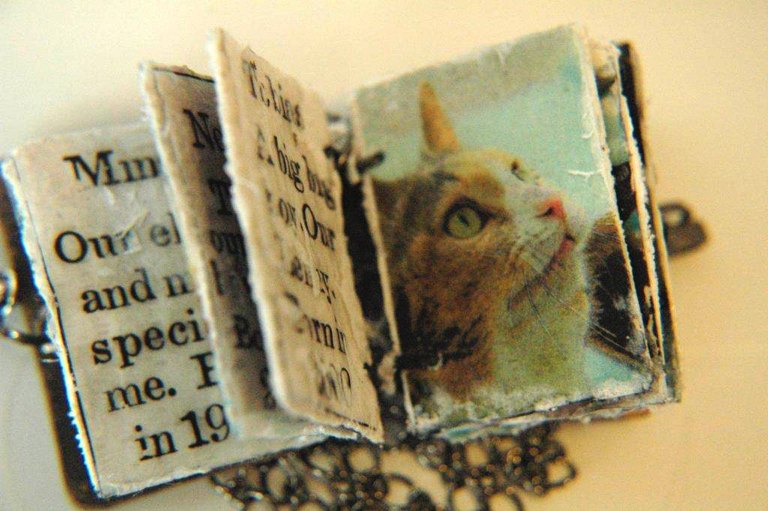 Art & Soul Blog Hop winner here!! I am oh, oh, oh, so thrilled that these very cool rings are so populoso..... they are lots of fun, and in less than two short weeks will be a feature in the Belle Armoire Jewelry Magazine (Spring 2012 issue). 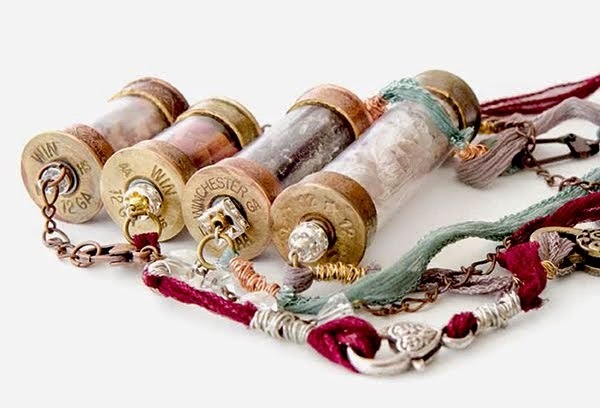 You can read all about the creative process exclusively there....or even better, let me take your hand and make a few rings at this year's Art-Is-You Retreat in Stamford, CT this October. 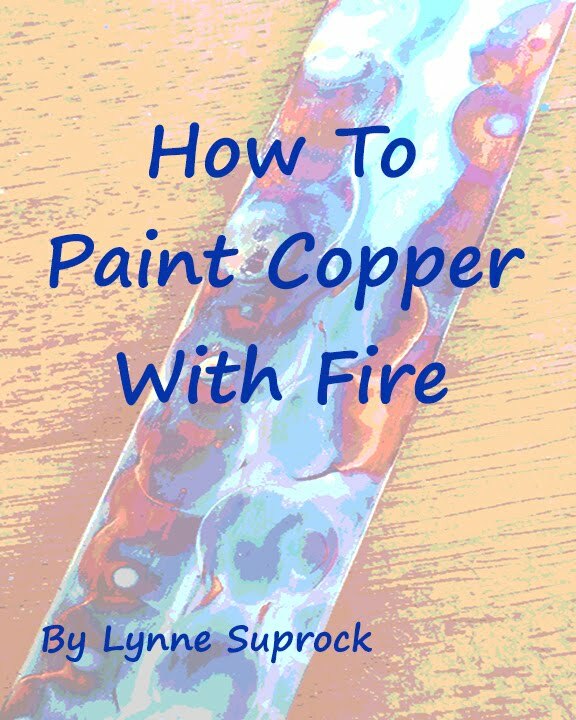 Sign up for my class and let's get creative! interviews her as the latest cool artist in the Art & Soul line up. Don't forget to leave a comment when you get there! 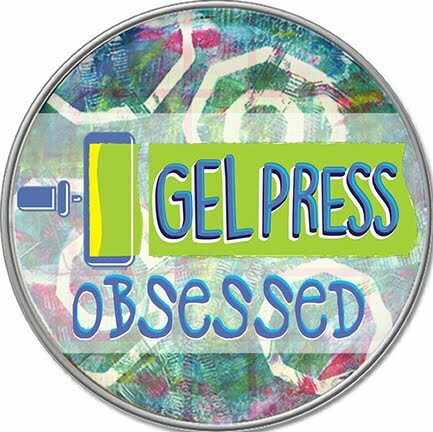 Fellow Artist, Christine Atkins, Interviews MOI! OK, its my turn now. Check out what I have to say to my fellow artist, Christine Atkins, about all things artsy and beloved! I am teaching at Art & Soul in a few short weeks. www.artandsoulretreat.com Hoping to have terrific fun and an exchange of wild ideas along the lines of and for the sake of.....art! Read my interview and leave a comment. 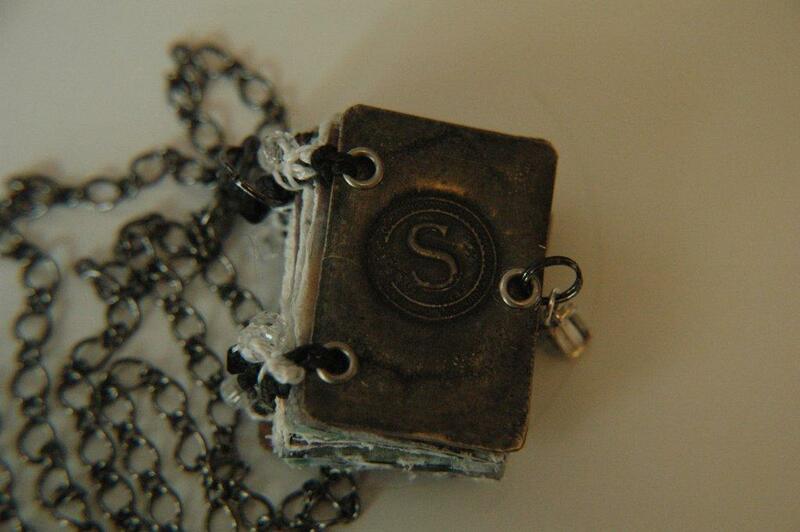 Hurry because you will qualify to win a wonderful prize from Artistic Artifacts.